Our AGM will be held at Avebury House at 7.30pm on Monday 28th May. 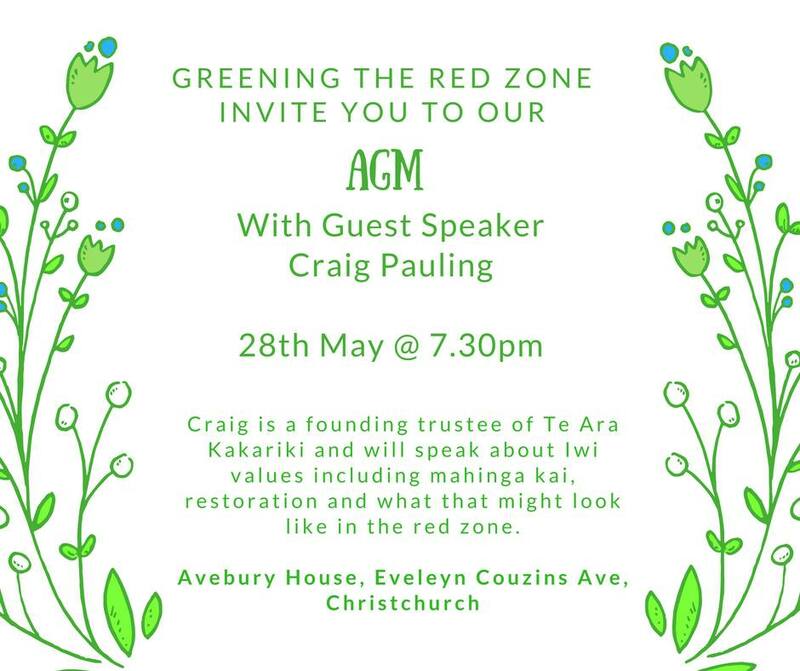 We are very excited to have Craig Pauling trustee of Te Ara Kakariki as our guest speaker. Craig is passionate about the protection and restoration of native flora and fauna, particularly as it relates to Ngāi Tahu mahinga kai (traditional food) species and practices, and has been involved in a number of ecological restoration projects across Canterbury and the South Island. Craig has worked for Te Rūnanga o Ngāi Tahu for over 10 years as an Environmental Advisor and is also a member of the Te Waihora (Lake Ellesmere) Management Board representing Te Taumutu Rūnanga. Craig lives in Halswell with three tamariki, Mihiroa, Meihana and Tainui and partner Janyne. He currently works with Boffa Miskell and has significant experience in environmental management and policy, strategy and research. We can’t wait to welcome him to our AGM on the 28th May 2018.